We reject the oft-repeated but deceptive argument that there are only two choices for dealing with drugs - heavy-handed law enforcement or total permissiveness. Substance abuse and addiction are American problems that impact every socioeconomic group, and meaningful public health and safety strategies are needed to address it. However, law enforcement strategies that target poor blacks and Latinos and cause them to bear the burden and shame of arrest, prosecution and conviction for marijuana offenses must stop. Despite consistent evidence that black youth use marijuana at lower rates than whites, in every one of the 25 largest counties in California, blacks are arrested for marijuana possession at higher rates than whites, typically at double, triple, or even quadruple the rate. Her final message? 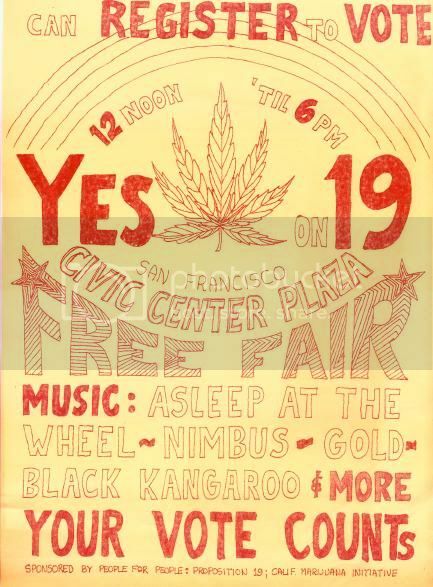 Yes on California Proposition 19. Read her entire piece here.